Difficult seasons are what create change in our lives. 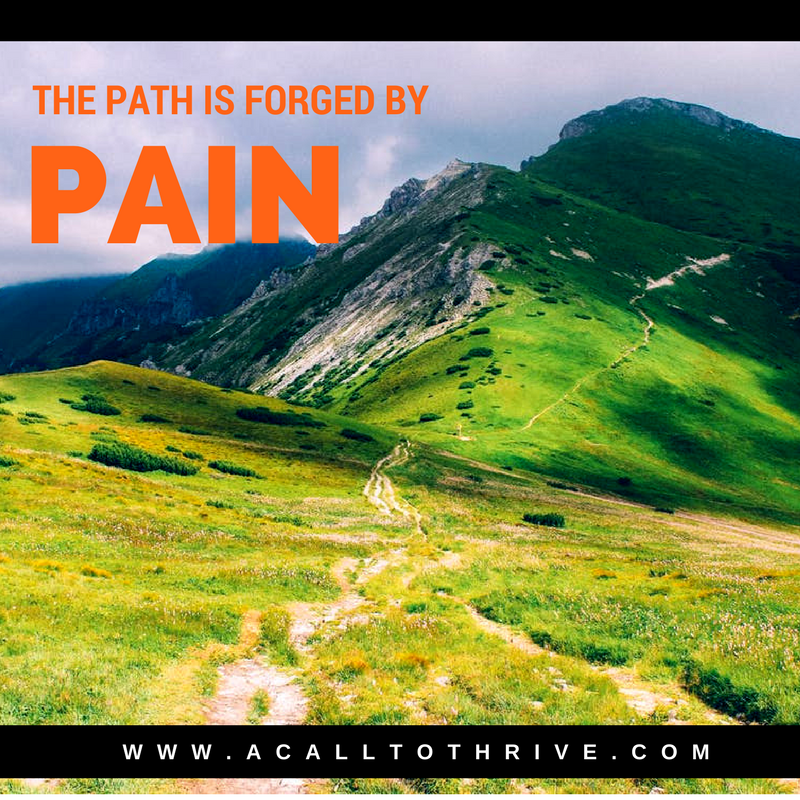 Pain pushes us into a better future if we allow it to. Perspective creates an overcoming power. Trials help produce in us what we need to become in order to be what we dream of becoming. Even if those things are “unfair” or seem to have no benefit. It is like when in the Fall all the leaves die and fall off the tree’s. It is a beautiful season with all the different colors but no one seems to benefit from the dying of the leaves. Yet through the winter the seed inside begins to grow, and by Spring something new springs up to once again adorn the tree. Or when you decide you are going to get strong and start lifting weights, you feel nothing but pain to the point where many weight lifters refer to Ibuprofen as “Vitamin A”. The pain is necessary, the resistance is necessary or you would never get any stronger. Lately I have personally had my own set of struggles. If I were take a step back at my life I could focus on all the pain, unfortunate things that have happened, and what I have lost. Or I can take a step back and look at the struggles as new ways to grow and the loss as gain…because you cannot lose something you never gave yourself too and being willing to love is never a loss. We have great opportunity in disappointment because it allows us to approach life in a new way. It allows us to challenge our own beliefs in a new way. And as a result we become better individuals. In this week’s video I shared about one of my own personal losses I have experienced this week. I also shared about the loss of others that reminded me how none of us are guaranteed tomorrow. This challenged me to begin to reassess some of the things I have believed to be true over the years and in a matter of days not only changed my own understanding but was able to help a few people around me in the process. It has continued to push me into a new way of understanding, create greater success in my life, allowed me to become a happier person and experience greater freedom. I also share with you some of my successes, of figuring out how to make money on Amazon FBA. It’s my goal that by March of 2017 to bring in 10 grand a month. The mere fact it is a challenge excites me and I don’t really care if I am sorting through people’s junk to do it. What is one person’s garbage is another’s CHA CHING! I continue to grow my coaching business and didn’t show much of that in my vlog this week. But not everyone wants to be on videos and I do want to protect my client’s privacy. I hope you enjoy coming on my journey with me and learning with me!